Timothy Cramer, senior director of OpenSolaris engineering at Sun, talks about the "open" part of OpenSolaris. 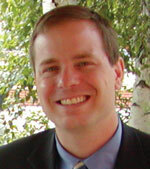 Timothy Cramer is senior director of OpenSolaris engineering at Sun Microsystems. DDJ: Tim, for clarity's sake, what are the basic differences between the Solaris 10 Operating System and OpenSolaris? TC: The Solaris 10 operating system (OS) is Sun's long-term supported and tested enterprise-grade operating system. Solaris 10 is available as a free download and Sun offers regular updates, along with service and support packages. The OpenSolaris OS is an open source, community-developed system based on the Solaris kernel that delivers an unrivaled development environment offering a mix of rapid innovation, platform stability, and support. It is free to use, modify, and redistribute. In May 2008, Sun and the OpenSolaris community delivered a distribution of the OpenSolaris OS, known as OpenSolaris 2008.05, which Sun fully supports. This release changes the way innovation is delivered and allows the community to contribute new ideas and interesting software. OpenSolaris 2008.05 targets customers willing to accept more rapid evolution in order to take advantage of software advancements. OpenSolaris also allows the user to scale linearly on today's multicore systems and secure systems, applications, and data. In the future, the latest enhancements to Solaris features including ZFS, DTrace, Solaris Containers, and Predictive Self Healing will be found in OpenSolaris first. In addition, OpenSolaris contains features that will only be included in Solaris releases following Solaris 10, including the new Solaris installer, innovative network software distribution, the latest GNOME desktop performance enhancements, and virtualization improvements in networking. DDJ: What's "open" about OpenSolaris? TC: The "open" in OpenSolaris combines applications developed by open-source communities such as GNOME, Mozilla, and the Free Software Foundation with the foundation of Solaris technologies, tools, and modern desktop features. OpenSolaris provides an ideal environment for students, developers, and early adopters looking to learn and gain experience with innovative technologies built-in for free to develop, debug, and deploy new applications faster, including ZFS and DTrace. In addition, the OpenSolaris community represents a wide variety of developers, administrators, instructors, and students around the world contributing to this open-source project. DDJ: Since releasing the first public distribution of OpenSolaris in May, what has been the response and impact? TC: The response to OpenSolaris has been fantastic. We've seen the OpenSolaris community grow to more than 150,000 registered members including individual, student and corporate contributors. The global OpenSolaris community features dozens of OpenSolaris technology communities and projects being created on OpenSolaris.org and OpenSolaris.com. We're seeing scores of enterprise, Web 2.0, and other customers leveraging OpenSolaris and its innovative features such as Solaris ZFSin their deployments. DDJ: What are the differences between OpenSolaris and Linux? TC: OpenSolaris is a UNIX system based on the Solaris kernel, while Linux originated from the GNU project and has several different distributions within its communities. OpenSolaris has several features not found in Linux, including the ability to debug and observe performance in real-time with DTrace and manage storage with ZFS, which is the default filesystem in OpenSolaris 2008.05 and is a fundamentally new approach to data management. ZFS presents a pooled storage model that eliminates the concept of volumes and the associated problems of partitions, provisioning, wasted bandwidth, and stranded storage. Thousands of file systems can draw from a common storage pool. The combined I/O bandwidth of all devices in the pool is available to all filesystems at all times. ZFS sets OpenSolaris apart, allowing for instant rollback and upgrades without breaking existing applications. In the upcoming November release, we'll have an application which allows the user to obtain old versions of files that may have been accidentally deleted or modified, all based on ZFS. DDJ: Under what kind of license is OpenSolaris distributed? TC: OpenSolaris source code is licensed under the Common Development and Distribution License (CDDL), an OSI-approved open-source license similar to the one that the Mozilla browser was originally distributed under, but with several improvements including a "patent peace" that discourages community members from initiating litigation against each other. DDJ: What is the most interesting OpenSolaris-related project/software you've seen contributed by the community? TC: The community has been very active with OpenSolaris and we've integrated numerous contributions. The storage community has also been doing some very interesting work. David Korn from AT&T Bell Laboratories contributed ksh and we worked with the Mozilla community to add DTrace probes into Firefox 3, which gives our tools the ability to debug, observe, and analyze code running within the browser. In addition, we have a number of partners that are involved in some fascinating work. Intel is working closely with us on Power Management and is making sure OpenSolaris runs well on their hardware. We also have ongoing projects with AMD, Joyent, and the NSA. DDJ: Where should people go to learn more about OpenSolaris? TC: Go to www.opensolaris.com, download OpenSolaris, or order the free media kit, then install OpenSolaris and join the community!